In this particular article from FastCompany, writer Stephane Kasriel talks about the scenario in which Virtual Reality has become the norm. The points brought forward by Stephane list some of the biggest reasons I decided to pivot my project from just exploring interactions in the VR space to this field of an office work environment. The very first point he mentions is video conferencing through Skype will seem primitive in comparison to VR meetings. You could be in the comfort of your home or even at your office in some other country thousands of miles away and still feel the presence of the all of the people in the meeting. 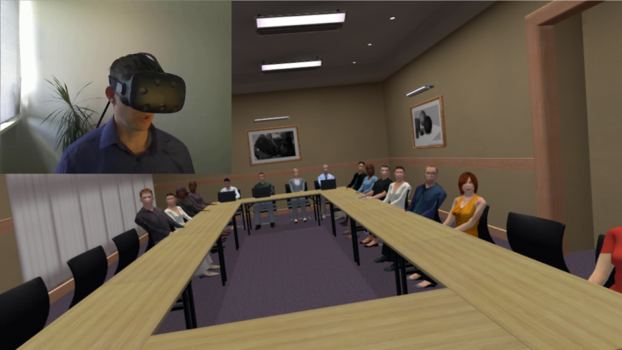 The second point he went on to explain was how brainstorming and generating ideas in general in VR using the infinite 3D space you have available to you in a collaborative environment could work wonders. Collaboration at this level without the restraint of location is something that could change how we work completely.